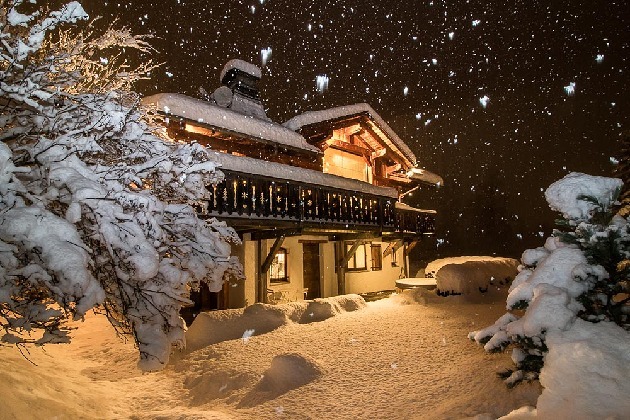 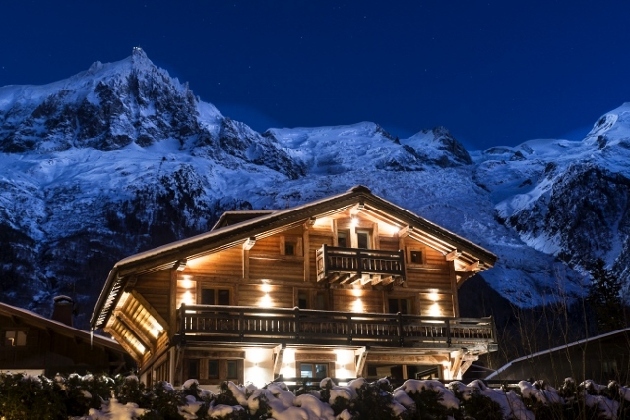 Here is a list of wonderful catered Chamonix chalet holidays to suit all preferences and budgets throughout the Chamonix valley. 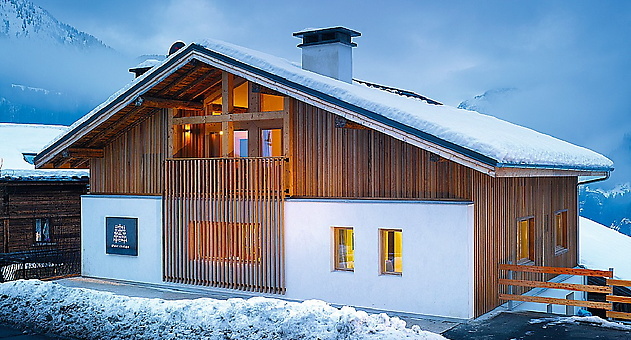 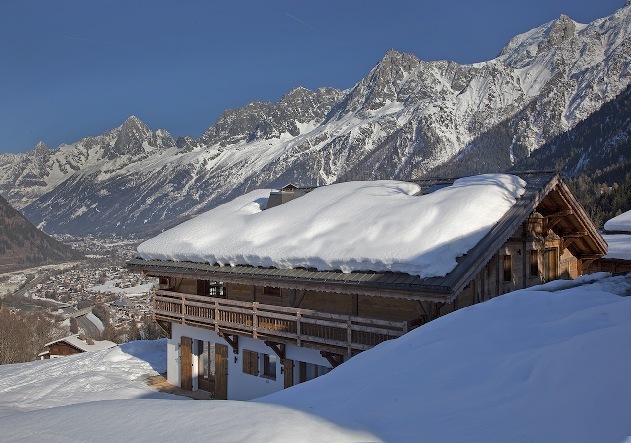 We offer a wide selection of catered Chamonix Chalets. 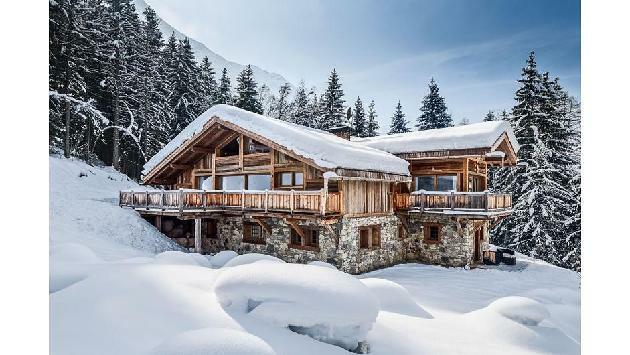 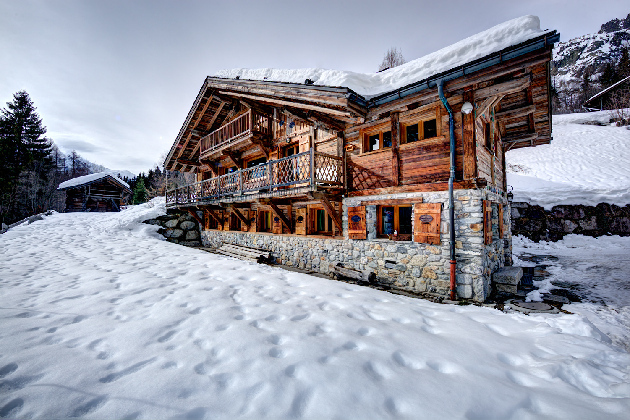 For more details please make an enquiry (at the top of ever property listing) so we can advise you whether you are looking for your ski holiday, corporate ski trip, family skiing, company ski event, ski weekend or summer trip to Chamonix with friends and family. 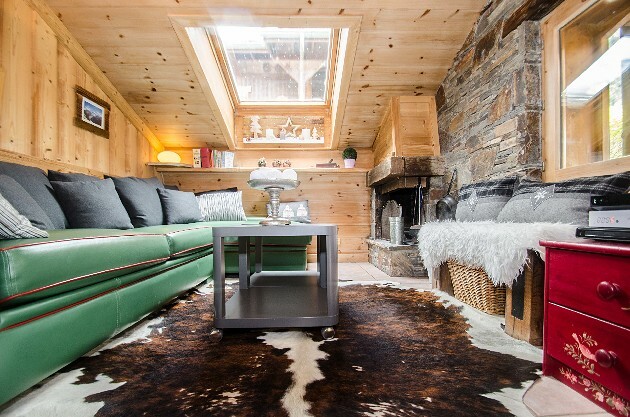 We, Lisa and Martin, are welcoming you to Chalet Iris, located in the beautiful Chamonix valley. 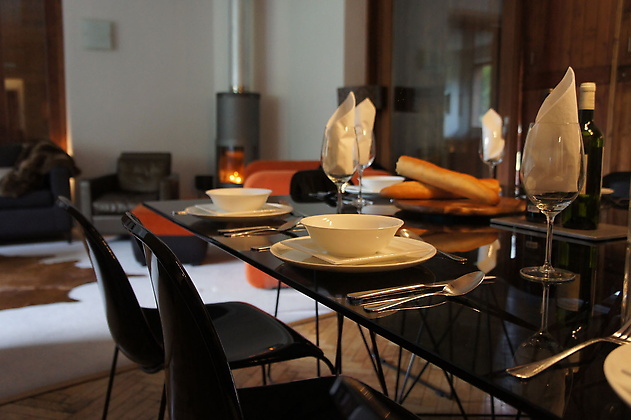 We offer you a fully catered (as per offer details) stay with wholesome food and personal service. 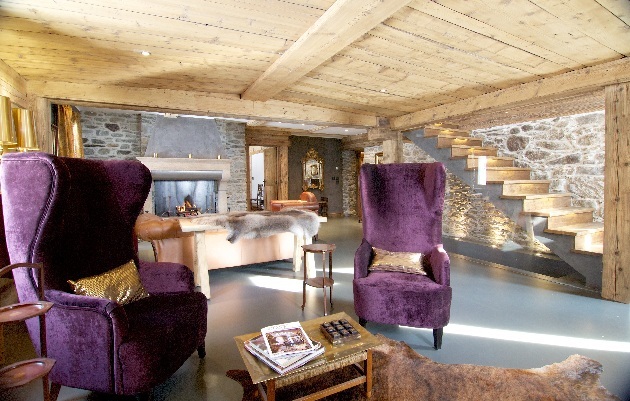 Upon request we also offer self-catered stays. 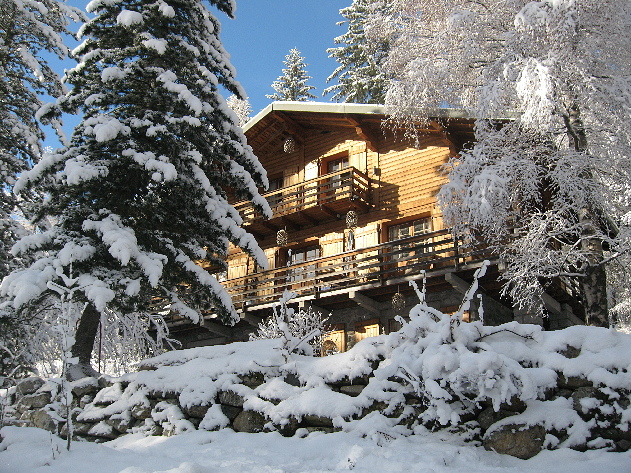 The chalet has won the Certificate of Excellence Awards for the last 3 years by Tripadvisor. 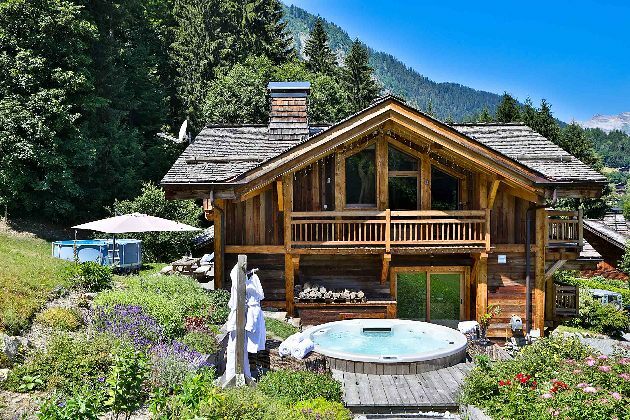 Sunken Hot Tub on extensive south facing private decked area with breathtaking views of the Valley Mont Blanc. 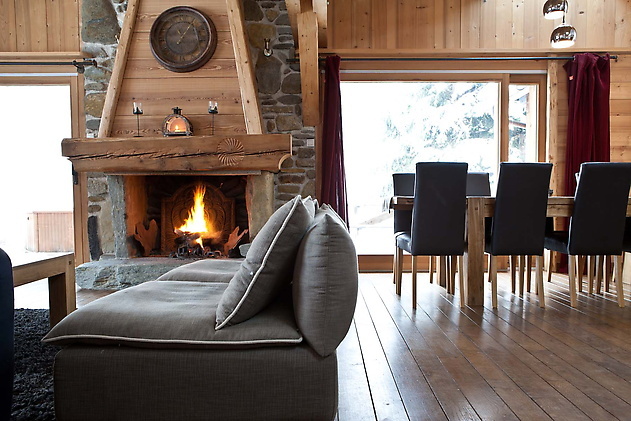 Nice cosy chalet with an open plan living room and log fire. 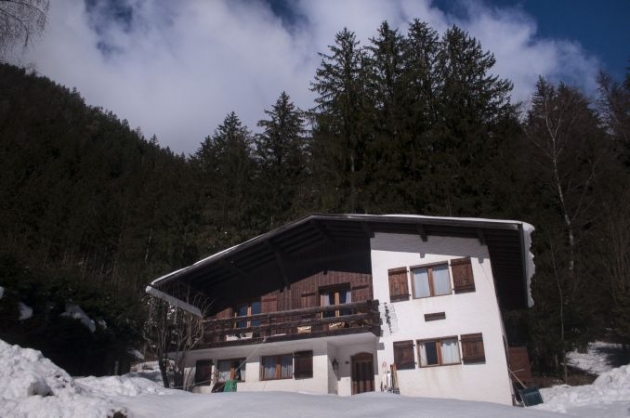 The chalet is set in its own grounds with private parking and garden. 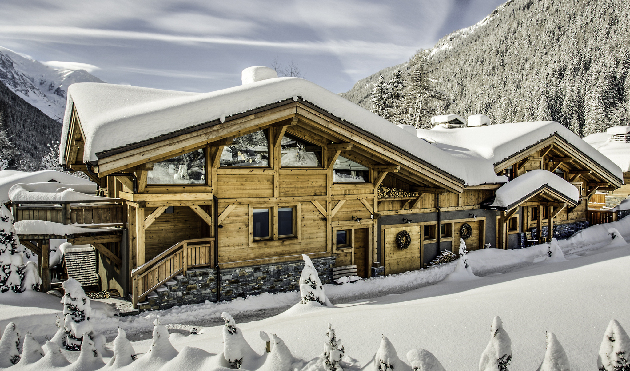 Secure ski storage, boot warmers and free WiFI. 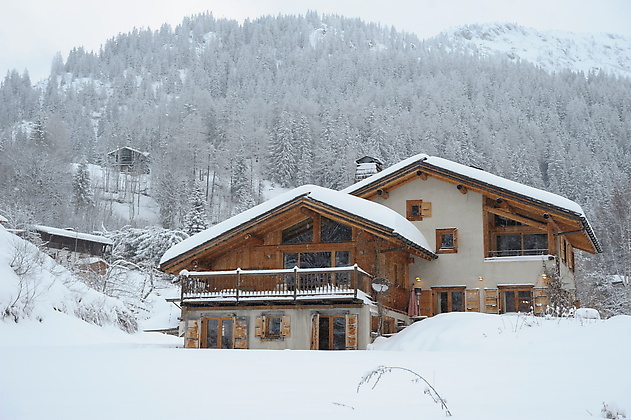 Great home cooked food and flowing wine. 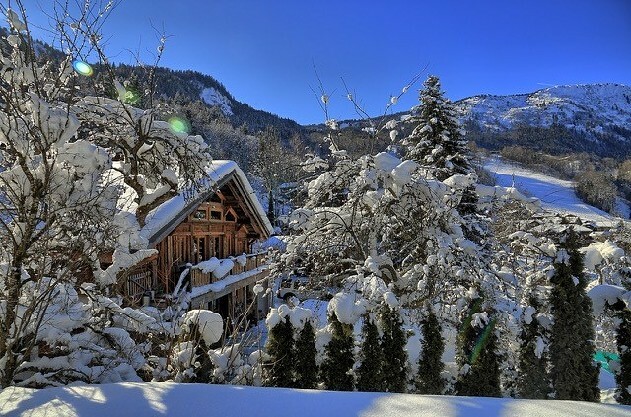 Les Favrands. 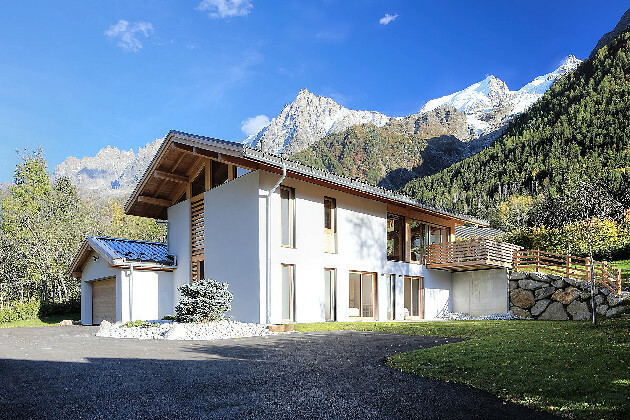 10 minutes flat walk along the river from Chamonix centre. 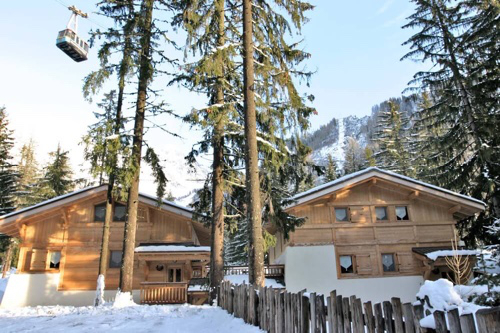 Bus stop to Les Houches or Chamonix 3 minutes walk. 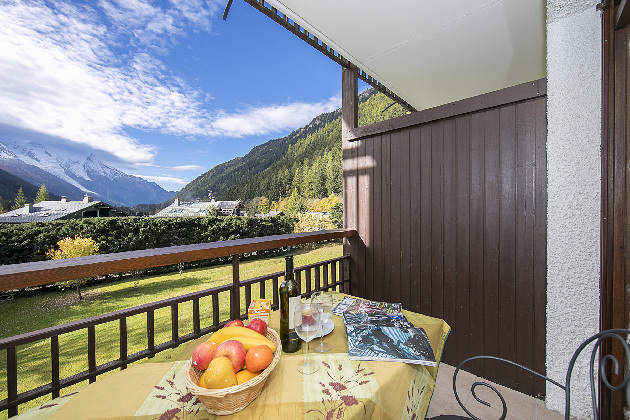 Train Station 3 minutes walk away. 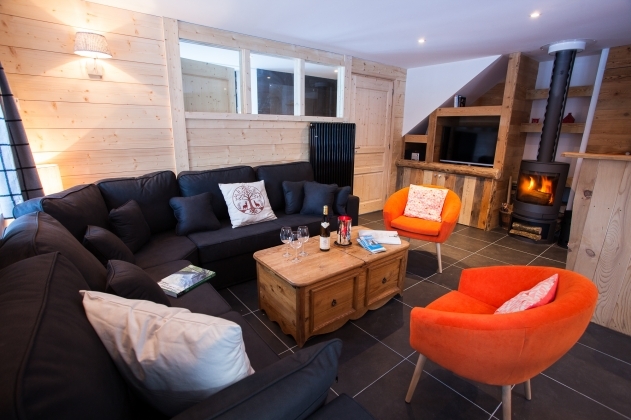 Sleeps 11 in 2 double rooms, 1 twin and 1 quad with 4 single beds. 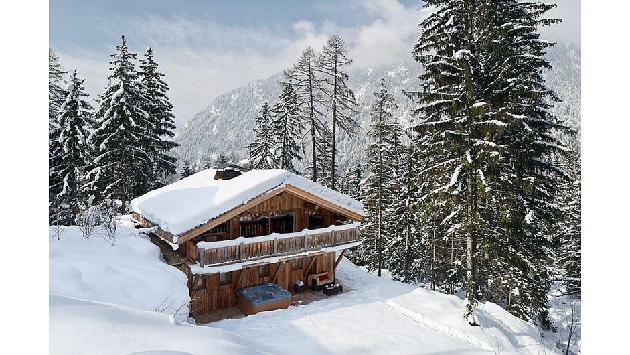 A great chalet in a peaceful area. 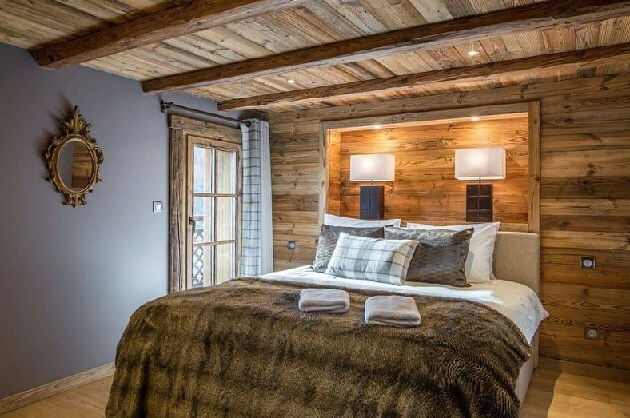 Fantastic for enjoying the comforts after a hard day on the slopes. 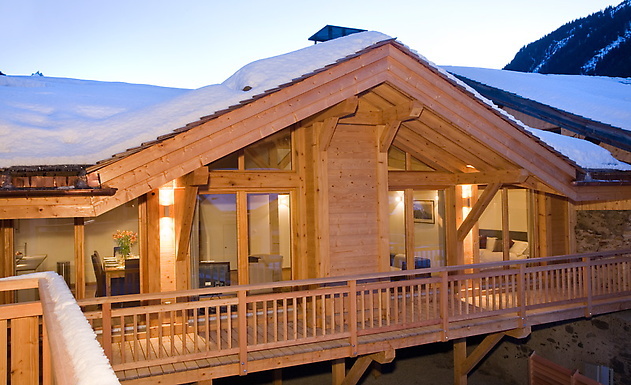 Includes a hot tub, sauna, Sky TV and WiFi. 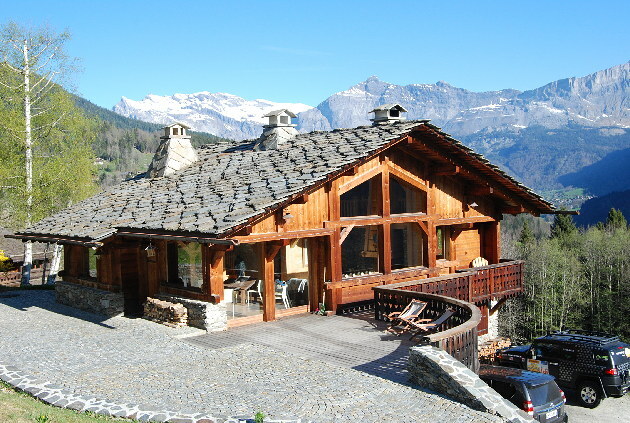 Les Bossons. 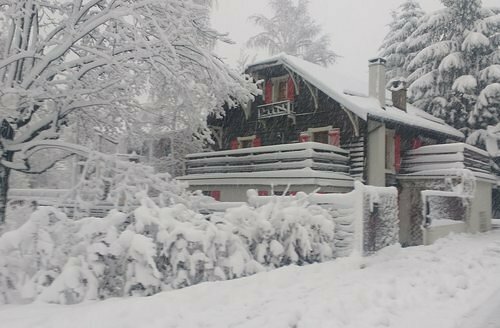 Approximately 5 minutes by car from Chamonix centre. 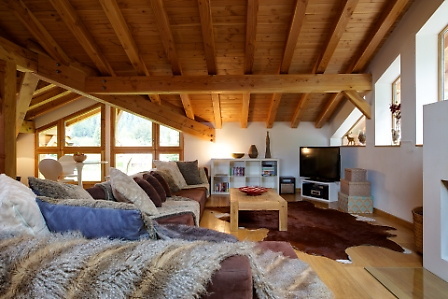 Sleeps 8 guests in 4 double/twin bedrooms. 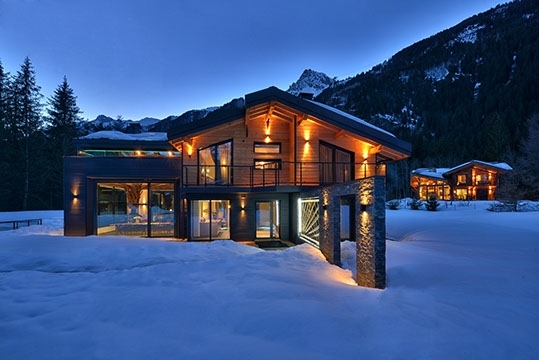 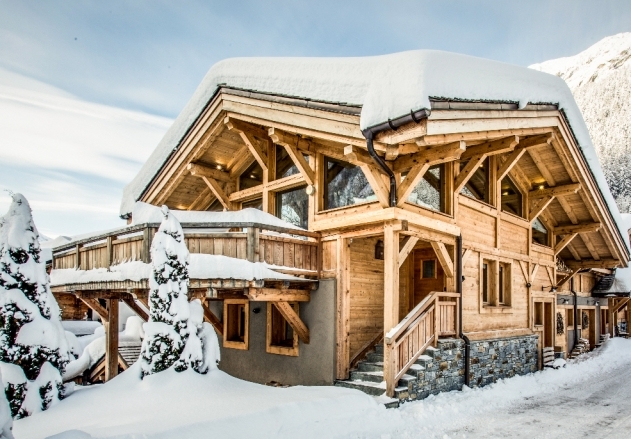 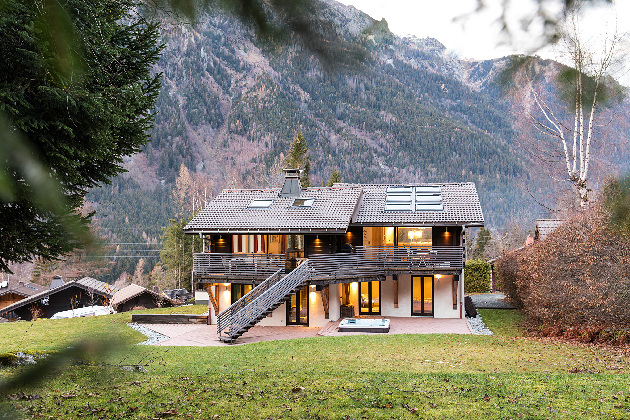 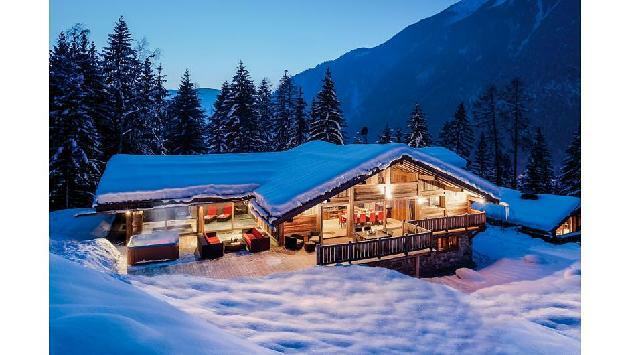 A fabulous 8 bedroom luxury chalet. 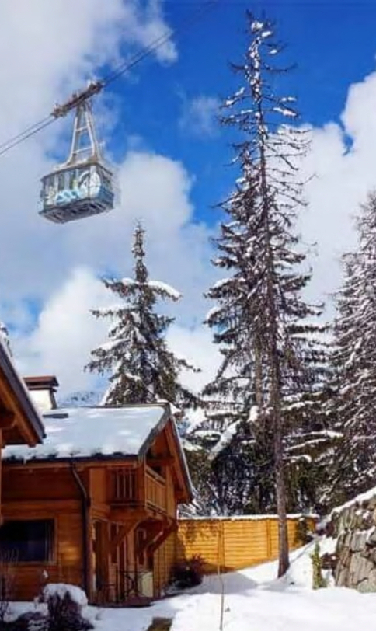 Ski-in ski-out, 100m to lift. 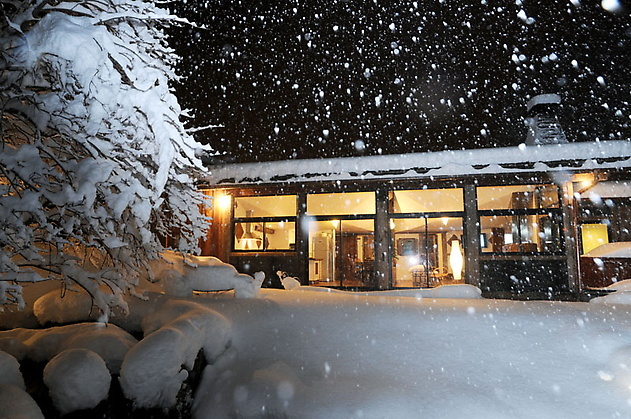 central log fire, outside hot tub, sauna, cinema, media room, pool room, Wi-Fi Broadband. 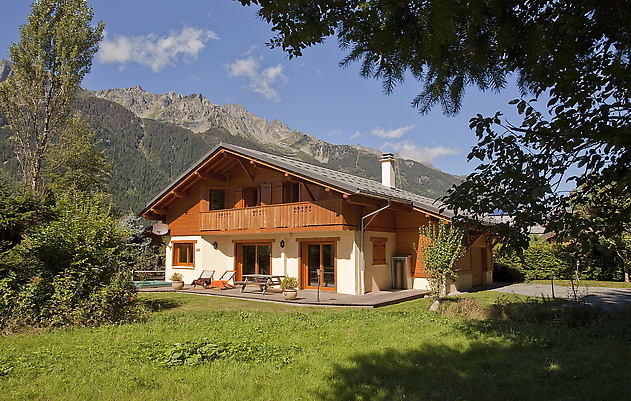 Le Tour, Argentiere, Chamonix. 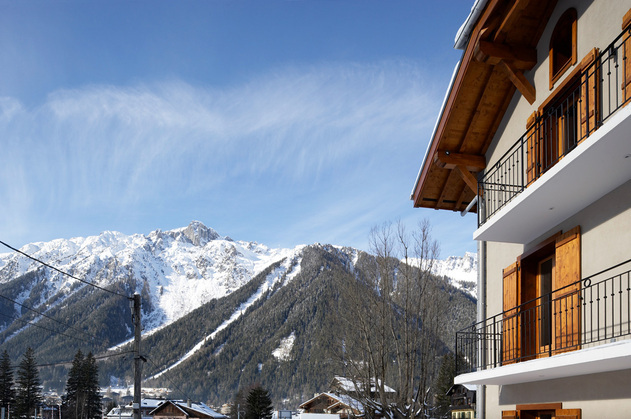 Sleeps up to 16 in 8 bedrooms, mostly en-suite, many with private balconies. 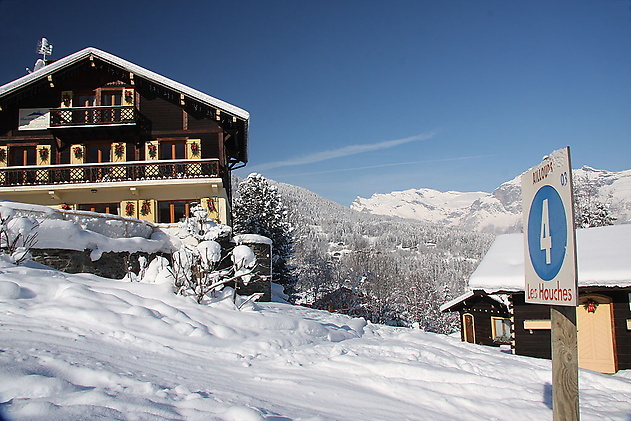 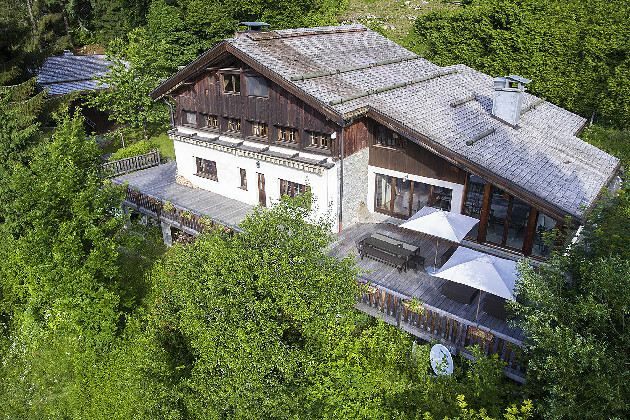 Chalet Vettore is a traditional alpine chalet over 200 years old with stunning views and 6 ensuite bedrooms. 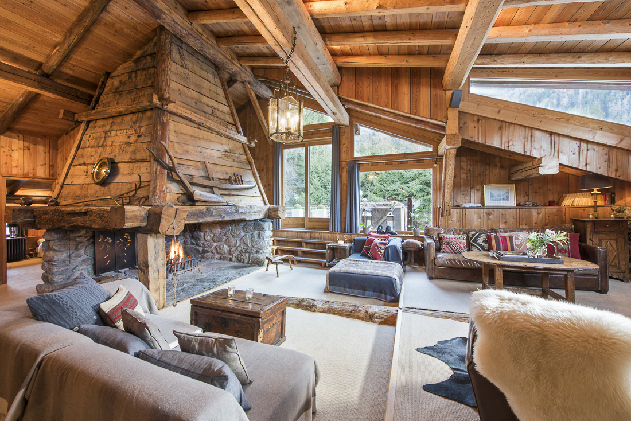 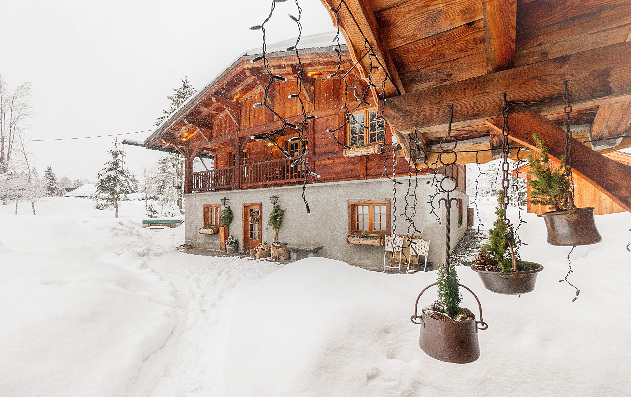 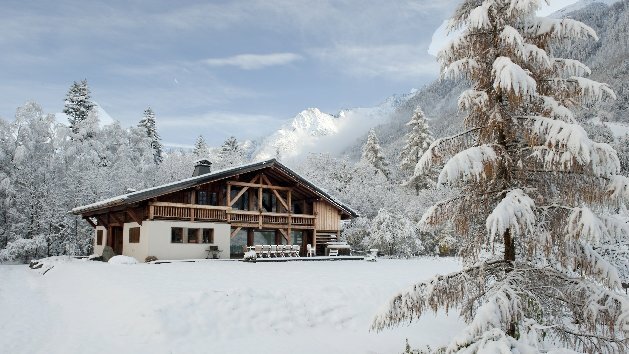 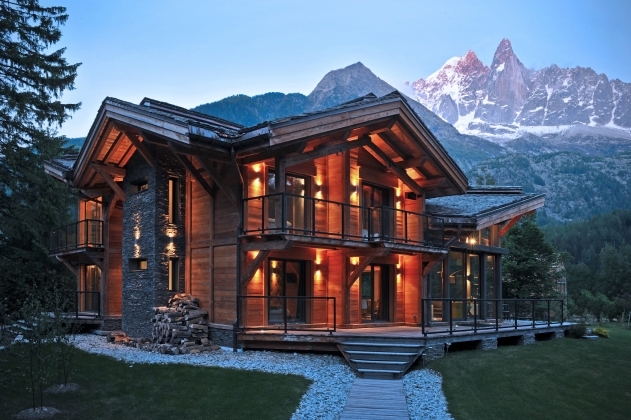 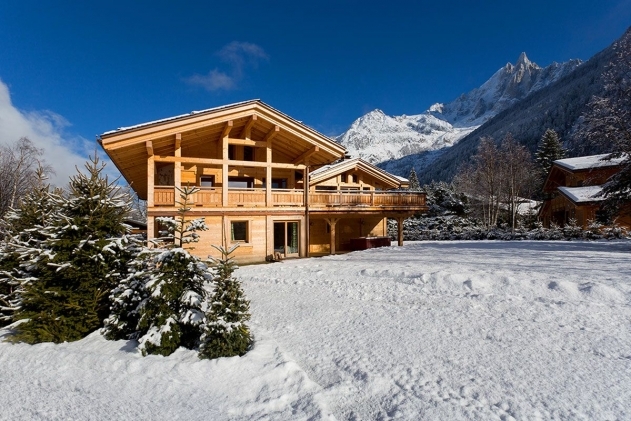 The chalet is only 5 minutes from Chamonix center and is virtually ski in & ski out with a panoramic outside hot tub. 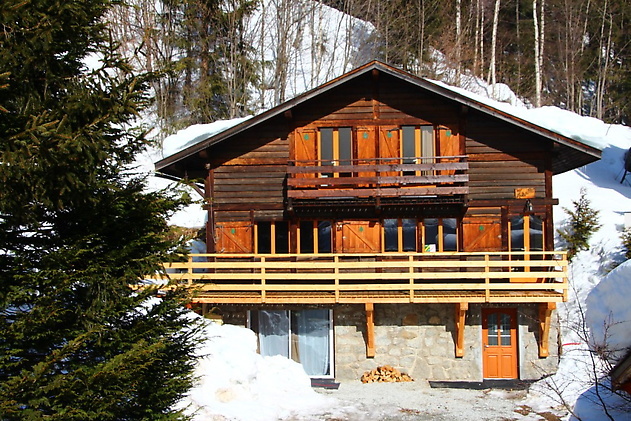 The chalet is located in the centre of Chamonix, 2 minutes walk from the main square and across the road from the Brevent ski slope. 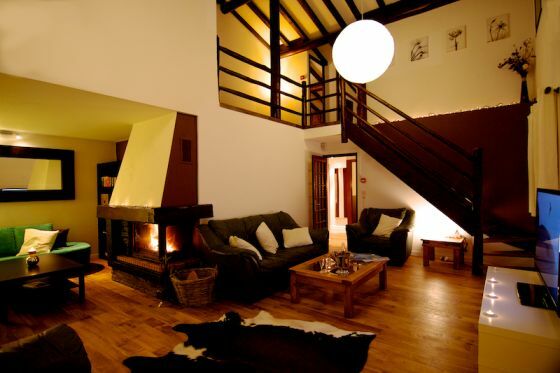 Sleeps 12 - 14 all in 6 twin / double rooms all of which are en-suite. 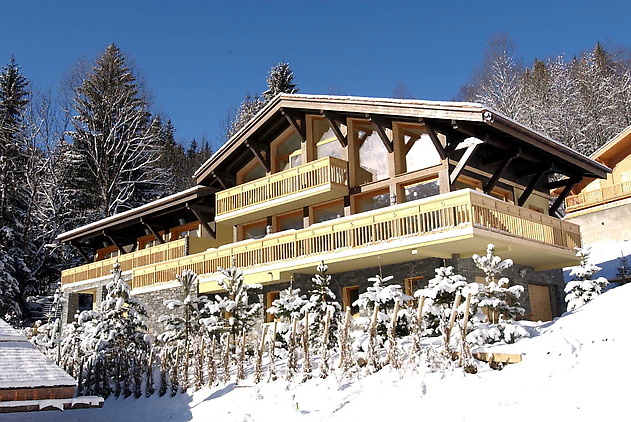 Chalet Cornflower includes 2 twin / double-bed rooms, 1 triple ded room and one twin and bunk beds . 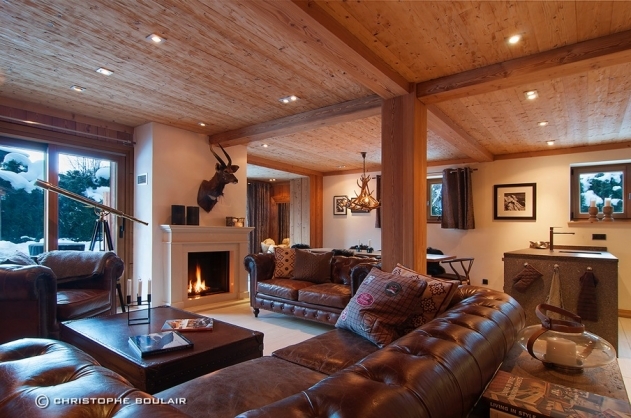 There is a large open plan living area with widescreen satellite TV, media centre and WiFi. 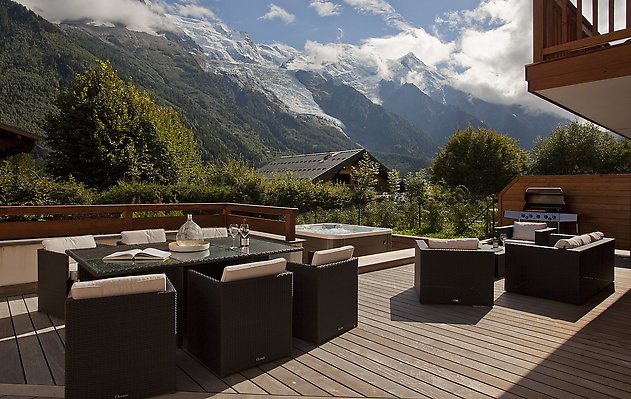 There is a private outdoor hot tub on the sun terrace which enjoys stunning views of the Grand-Montets. 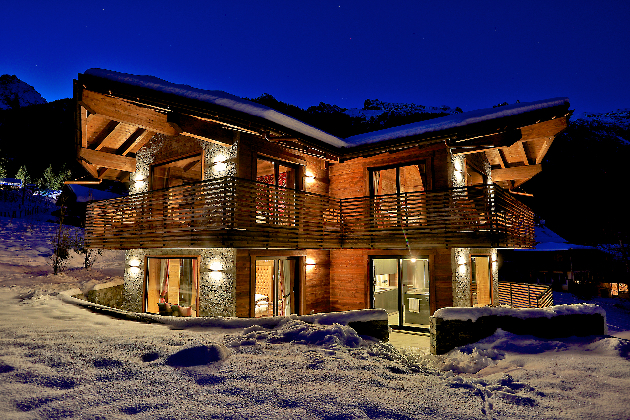 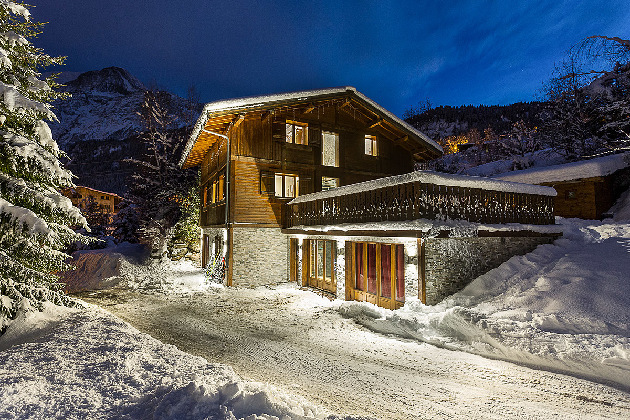 The chalet has an unrivaled ski in ski out location at the bottom of the Grands Montets ski area. 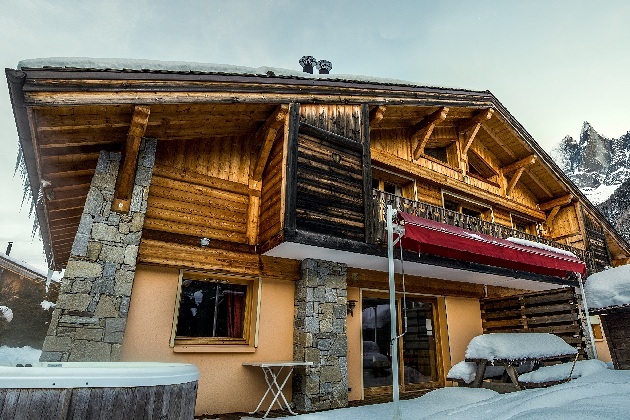 Lively apres ski bars are within skipping distance of the chalets and the centre of Argentière is just a short stroll away. 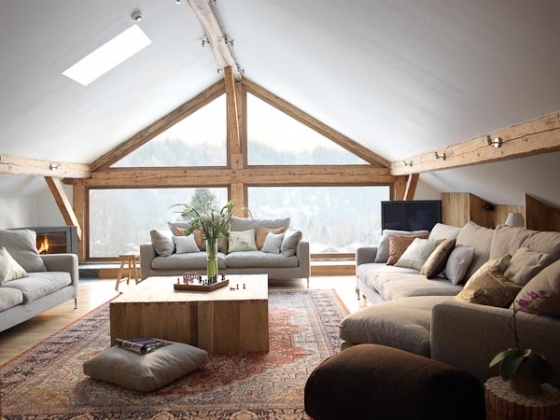 Converted from an old sawmill, captures the owners beautiful and very unique design style. 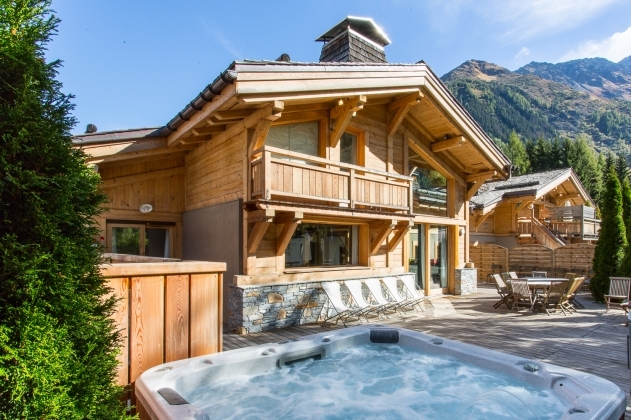 Outdoor jacuzzi, garden Ski to and from the chalet on a wide Aillouds piste. 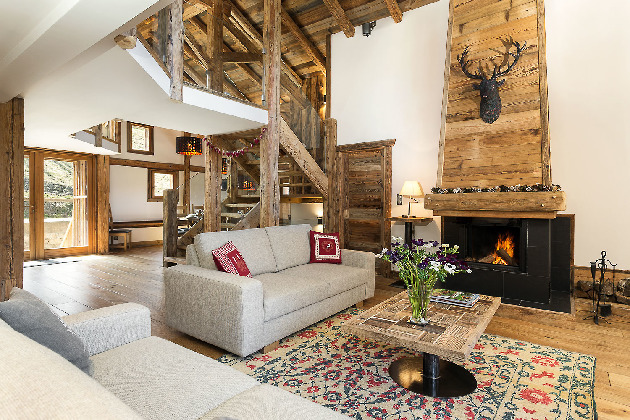 Sleeps 12 guests in 5 bedrooms, 4 of them en-suite. 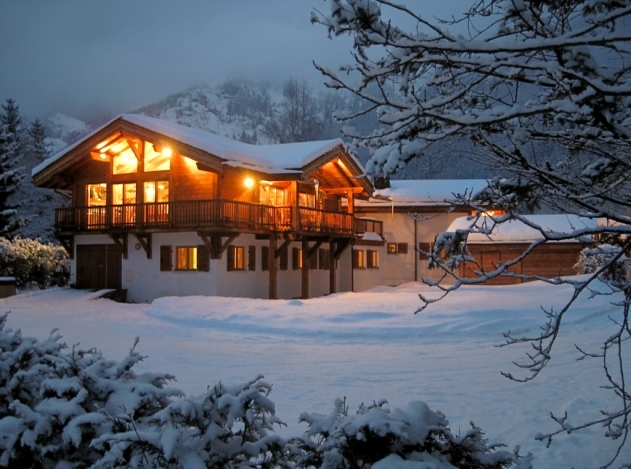 Chalet Geary is a fantastic value 'Outdoor Centre'. 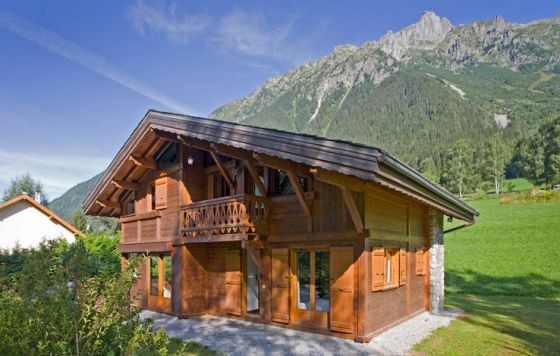 It is a perfect summer base. 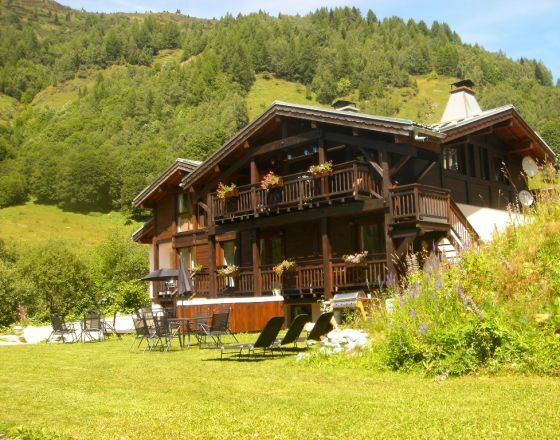 It is offered on catered or B&B basis. 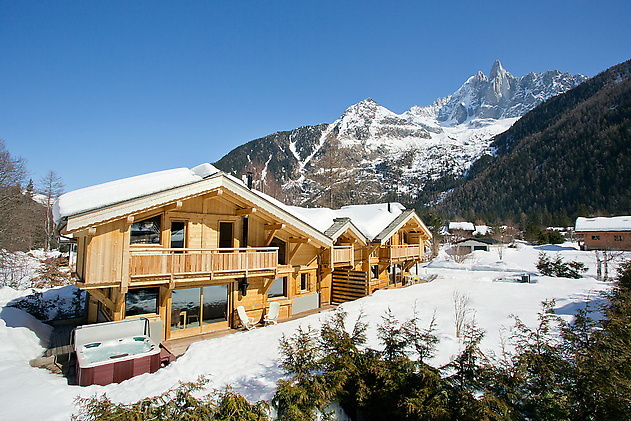 In the winter it INCLUDES a CHAMONIX UNLIMITED SKI PASS! 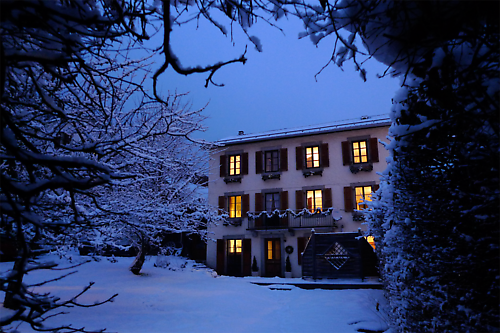 Suitable for groups of 3 to 120 people happy to sleep in en suite dormitory rooms with 3 to 6 beds. 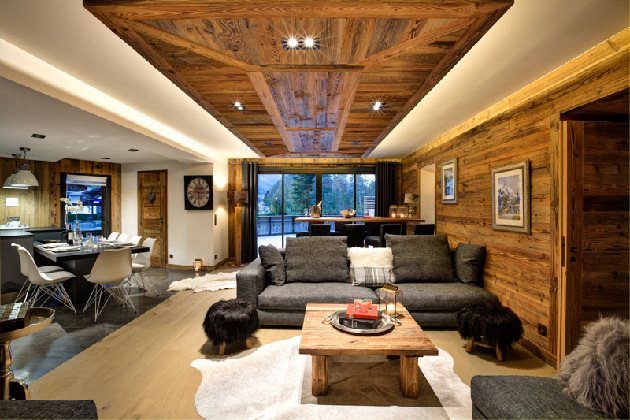 Big communal bar, dining room and 'break out' spaces. 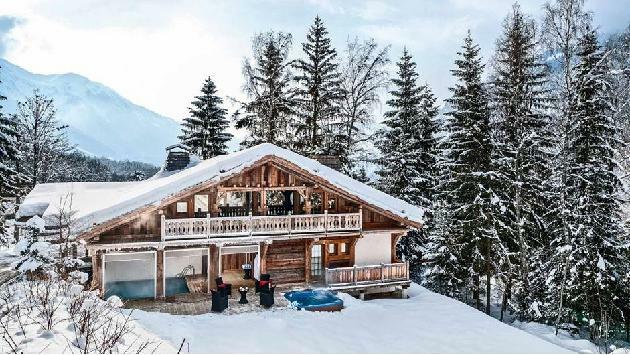 Ski slopes on the door step. 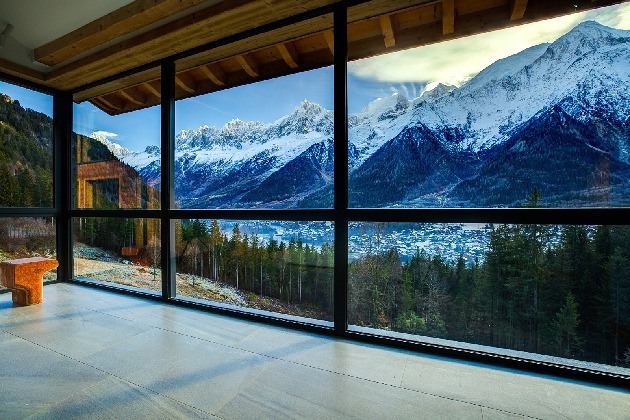 Buet, Vallorcine, Chamonix. 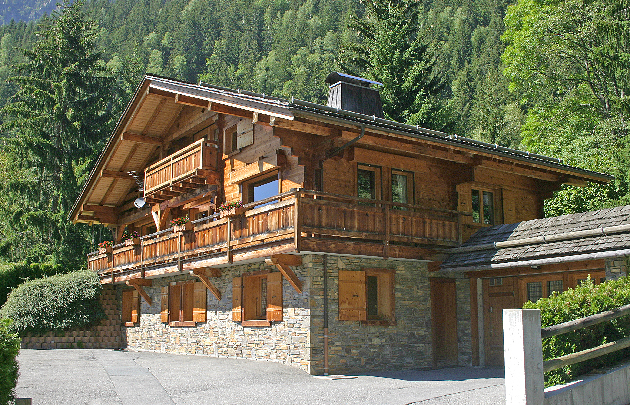 Buet is a small hamlet in the Chamonix valley. 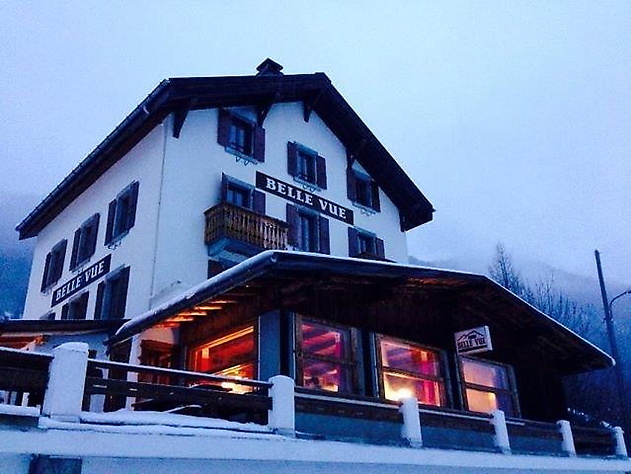 The wonderful thing about it is that it has its own mini ski area with a black, red and several blue runs. 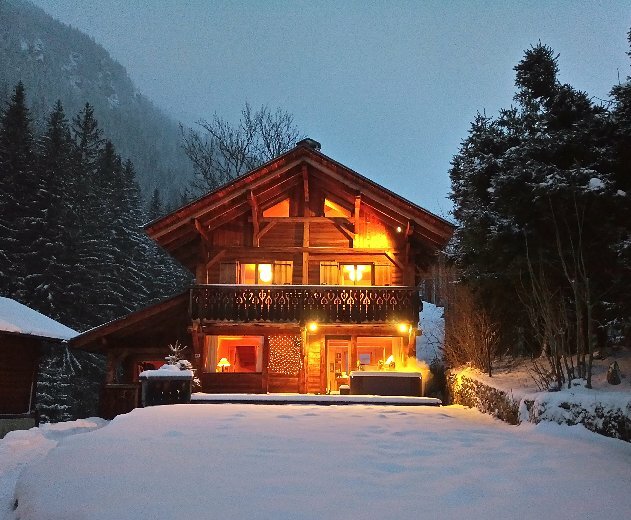 It is perfect for beginners. 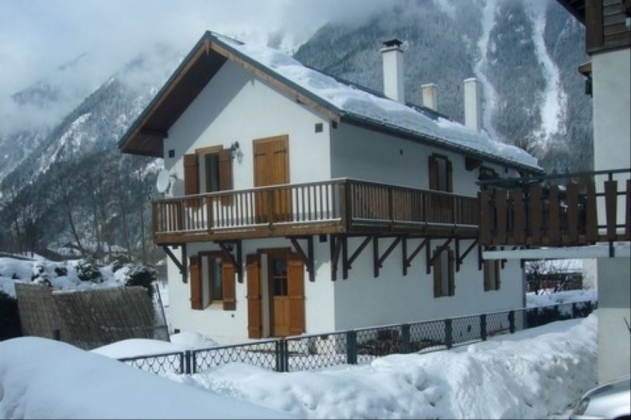 Good skiers can ski-skate down to Vallorcine (or take the hourly train) to be whisked up to one of Chamonix's best ski areas; La Blame. 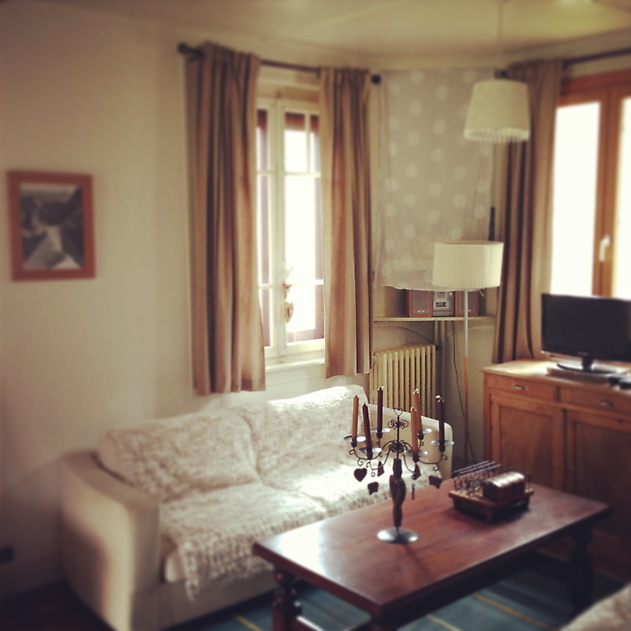 It links in with Le Tour. 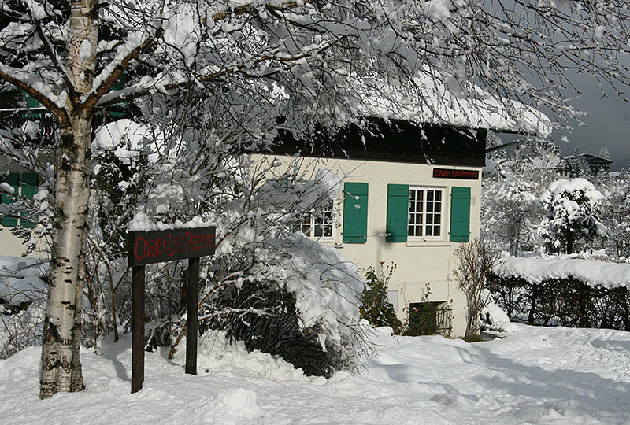 It is also a wonderful summer base with fabulous walks and climbing on the doorstep 120 - Our Outdoor Centre can accommodate groups from 3 to 120! 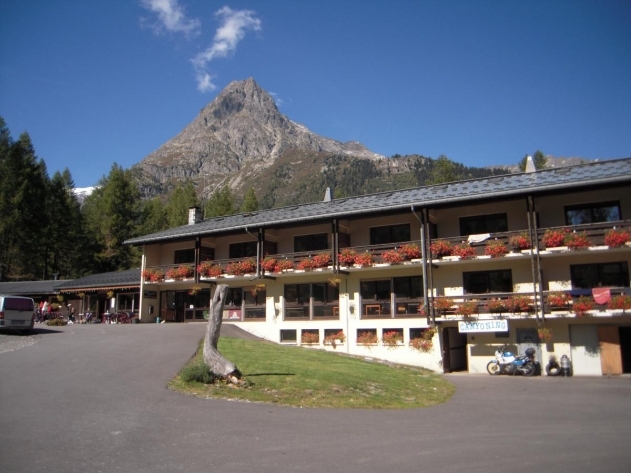 There are 24 en suite dormitory rooms with 3 to 6 beds. 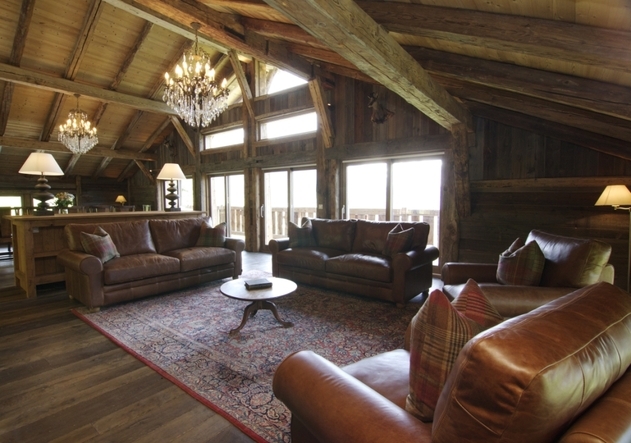 Exclusivity can be secured for groups of 90 guests or more. 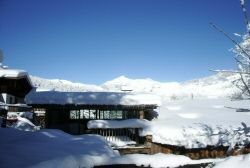 It is unavailable for February half term. 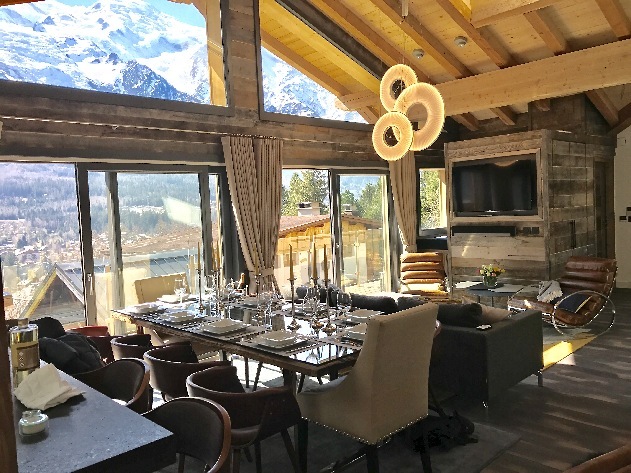 The chalet is located at the foot of Mont Blanc and not only enjoys spectacular mountain views, but the peaceful and tranquil setting of the chalet lets you relax and enjoy the Chamonix-Mont-Blanc valley. 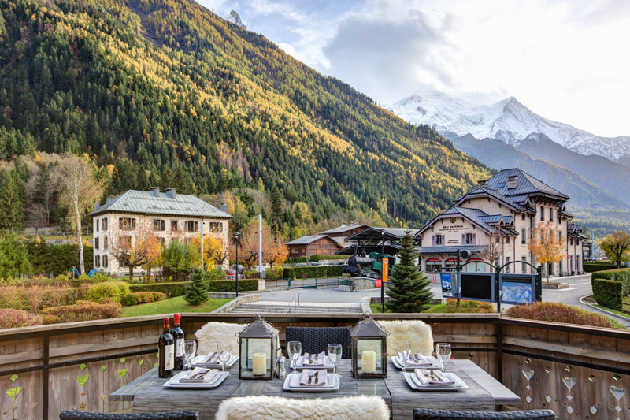 Located just a 5min drive to Chamonix centre and under 10mins to the closest ski resort, you really can enjoy both side of the spectrum. 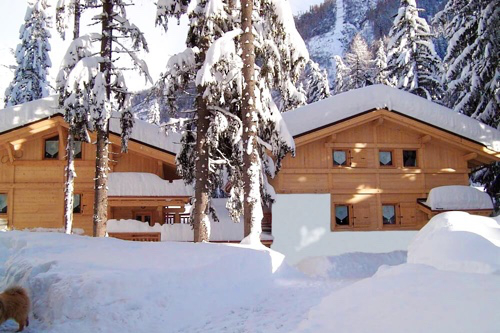 Taconnaz Comfortably sleeps up to 20 people.